PeeCee Looked Like A Snack Yesterday And We Had To Get Her Look... P.S. It's On *Sale*! ICYMI, Priyanka Chopra aka Nick Jonas’ recent claim to fame (you know it’s true) went about NYC looking like a snack yesterday. Props to Mimi Cuttrell for nailing it every time. The Bollywood actress was spotted stepping out of Four Seasons hotel in New York in a supremely chic DVF shirt dress, which she wore with retro sunnies, strappy heels and a classic top handle Fendi bag. We fell in love with Priyanka Chopra’s outfit in an instant - as would anyone with eyes amirite? - and went on a hunt to dig down affordable dupes for her look. First things first, we looked long and hard and finally, found a shirt dress that looked similar enough…. On sale, that too! This textured dress from Ajio is key to your PeeCee look and is also very versatile if you want to style it otherwise. A stellar buy, it’s a must-have! We couldn’t find a dress with the cool buckle belt so we pulled a trick which works just as well. 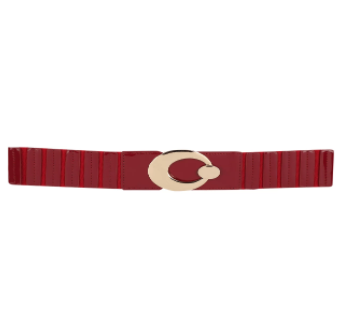 This statement belt was on sale at Lulu & Sky and fits into the outfit perfectly, doesn’t it? Miss Chopra’s strappy gold heels are an evergreen pair and we found one that was on sale at our favourite online store: Zara. Yaaas! These knotted heels will go with your day as well as night-out looks brilliantly. As chic as Priyanka Chopra’s dress was, she picked cool retro round sunglasses to wear with it. 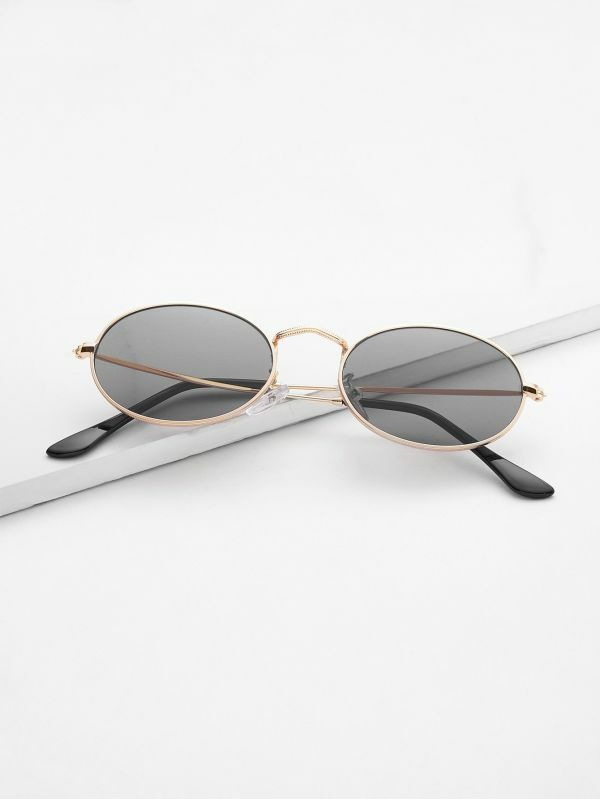 Since those are all the rage and you know it, it wasn’t tough to spot these gold frame beauties, which are on sale, at Shein! 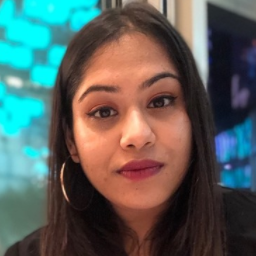 Miss Chopra was carrying a pastel coloured Fendi bag and as much as we would love to get the real deal, we found a dupe that’s less than half the price from Aldo! 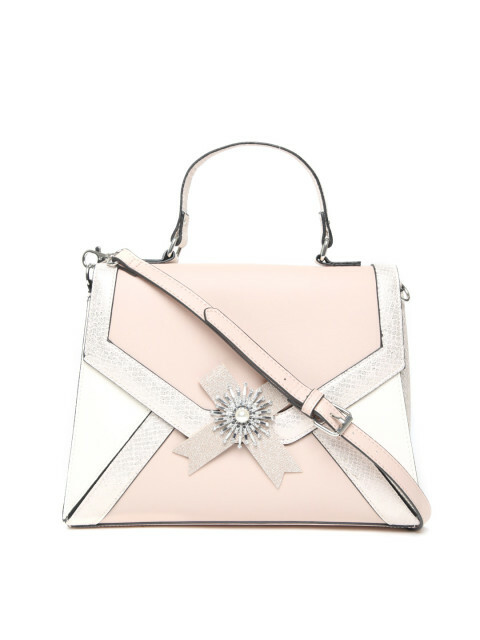 It’s hard not to be obsessed with this pink and white top handle bag we found on sale, isn’t it? When we do something, we commit ourselves to every last detail. So, to finish, we found a dupe for her cool bracelet as well! 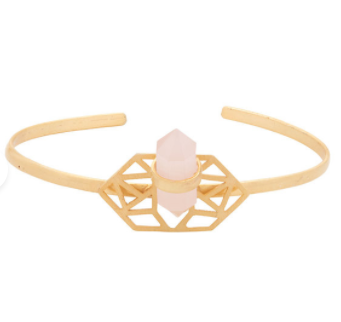 Yes, this cuff bracelet is on sale too at Voylla. Get it, don’t regret it.